Punti Necessari: 29400 Please note that, for now, you cannot download content from our platform directly onto a mobile device (phone, iPod, iPad, tablets...). You need to download your items onto a PC or Mac, and then transfer them onto your device in the normal way. We are working on allowing direct downloads to mobile devices but this is not possible in the current version of the platform. Sorry about the inconvenience! NOTICE: Activation key must be used on a valid Steam account. Requires internet connection. About the gameXCOM 2: War of the Chosen - Tactical Legacy Pack - Limited Offer The XCOM 2: War of the Chosen - Tactical Legacy Pack includes a collection of new game modes, maps, weapons, armors, Photobooth options, and more that honors the legacy of the XCOM series. 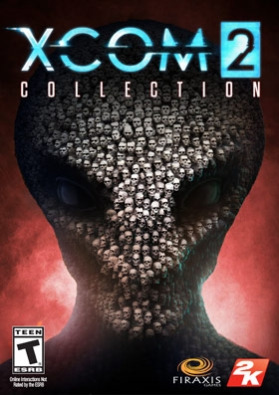 This content requires ownership … of both the base game XCOM 2, and the XCOM 2: War of the Chosen expansion to play.Available for free for all owners of XCOM 2: War of the Chosen until 12:59pm EST on December 3, 2018.The XCOM 2 Collection includes the award-winning strategy game XCOM 2, the War of the Chosen expansion, and four DLC packs (Resistance Warrior Pack, Anarchy’s Children, Alien Hunters, Shen’s Last Gift) for a bundled discount. Key FeaturesXCOM 2: Aliens rule Earth, promising a brilliant future for mankind while secretly hiding a sinister agenda. As the leader of a guerrilla force facing impossible odds, you must ignite a global resistance to eliminate the alien threat and save the hum race from extinction. XCOM 2: War of the Chosen: The XCOM® 2: War of the Chosen expansion adds extensive new content in the fight against ADVENT when additional resistance factions form in order to eliminate the alien threat on Earth. In response, a new enemy, known as the “Chosen,” emerges with one goal: recapture the Commander. The expansion includes new Hero classes to counter the “Chosen”, new enemies, missions, environments and increased depth in strategic gameplay.FOUR DLC PACKS: Resistance Warrior Pack: Customize your squad of resistance fighters with a set of bonus outfits and head gear, as well as custom armor and face camo. Instantly unlock a survivor of the old war as a new recruit in your barracks. Anarchy’s Children: This rebellion-themed content pack introduces more than 100 new exotic customizations for the entire arsenal of armors available to your XCOM soldiers. These options are purely cosmetic and do not alter the stats of a soldier. Alien Hunters: Transform the soldiers of XCOM into an elite alien hunting squad with impressive new weapons and armor to face off against new alien Rulers that will pursue your squad across an entire campaign. Additional cosmetic upgrades to soldiers and the Avenger are included, as well as a new epic mission where Central Officer Bradford leads a squad with the guidance of an old friend. Shen’s Last Gift: Investigate ADVENT’s “Lost Towers” facility where Chief Engineer Lily Shen accompanies your squad in search of her late father’s secretive final project. Discover a unique new soldier class complete with powerful new combat abilities, strategy mechanics, and customization options. System Requirements Windows - Minimum OS: Windows® 7, 64-bit Processor: Intel Core 2 Duo E4700 2.6 GHz or AMD Phenom 9950 Quad Core 2.6 GHz Memory: 4 GB RAM Graphics: 1GB ATI Radeon HD 5770, 1GB NVIDIA GeForce GTX 460 or better DirectX: Version 11 Storage: 70 GB available space Sound Card: DirectX compatible sound card Additional Notes: Initial installation requires one-time Internet connection for Steam authentication; software installations required (included with the game) include Steam Client, Microsoft Visual C++2012 and 2013 Runtime Libraries and Microsoft DirectX. Windows - Recommended OS: Windows® 7, 64-bit Processor: 3GHz Quad Core Memory: 8 GB RAM Graphics: 2GB ATI Radeon HD 7970, 2GB NVIDIA GeForce GTX 770 or better Storage: 70 GB available space Sound Card: DirectX compatible sound card ©2018 Take-Two Interactive Software, Inc. XCOM, XCOM 2, 2K, Firaxis Games, and their respective logos are all trademarks of Take-Two Interactive Software, Inc. All rights reserved. Use of this product requires agreement to the following third party end user license agreement: http://www.take2games.com/eula/	Initial installation requires one-time Internet connection for Steam authentication.